I'm one of those people who does basically nothing with their hair. I pretty much just use shampoo, conditioner and nothing else. I recently got my hair cut, meaning that not only does it look much healthier but I also wanted to get some products similar to the ones my hairdresser used. I did a little shopping online and picked up some bits and bobs that I'm hoping I'll really enjoy using. Firstly I have the Garnier Ultimate Blends shampoo in Delicate Oat. This is my all time favourite shampoo, it's perfect for my sensitive scalp and it smells beautiful, so I couldn't resist stocking up when it was half price. As a free gift with my order, I got the Superdrug Coconut Water shampoo and conditioner travel set. I wasn't going to include them as I didn't buy them, but travel sets are always useful and the tropical, coconut pina colada-esque scent is just heavenly. My hair is naturally very soft and silky, so it was recommended that I only use a conventional conditioner once a week, opting for a lightweight spray in product to condition my hair without weight it down so much. I went for Aussie Miracle Recharge Conditioning Spray as I've heard so many good things about Aussie products and as I'm going to actually be blow drying my hair now I like the heat protection element. I often find that using a hair mousse to add volume works wonders but can irritate my scalp, and so I got the OGX Thick and Full Root Boost Spray to try. When my hair was being blow dried, the stylist used a root boosting spray which did actually add some lovely volume but still keeping things lightweight as to not weight down my hair too much, so hopefully I'll get on well with this. Finally, I got the Toni and Guy Shine Gloss Serum. 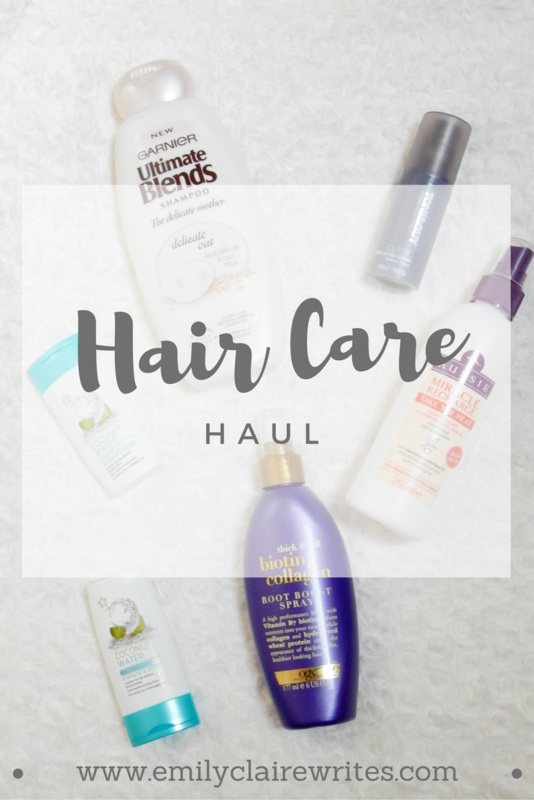 I have used hair serums in the past and haven't been too blown away by them, but unlike anything I've used before this is to be used on dry hair after blow drying and styling to add a beautiful shine to the ends and smooth any frizz or flyaways. Naturally straight hair isn't all that sleek! 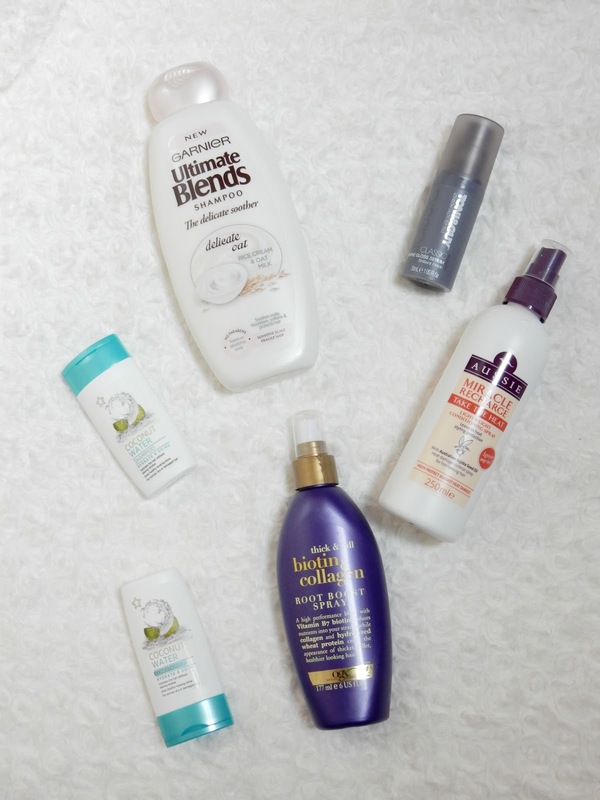 I made sure to get products that promise to be lightweight, so here's to hoping they live up to that!